George Fox Bridge Scholars are on campus this week getting a head start on their transition to college. Supported and inspired by donors like you, they are enjoying a two-week residential program that is specially designed for first-generation students from underserved backgrounds. The students are participating in workshops and one-on-one meetings focused on goal setting, spiritual life, internships and more, while also enjoying fun activities around campus. Bridge Scholars gain the practical skills that are critical to their success in college and explore strategies for overcoming challenges (both academic and personal). They grow their understanding of the distinctiveness of a Christian education and explore their identity development as first-generation students. They also learn how to navigate the university’s various systems and offices, including career-planning opportunities through the IDEA Center. Throughout the school year, the scholars will participate in ongoing mentorship and course offerings in a cohort style. 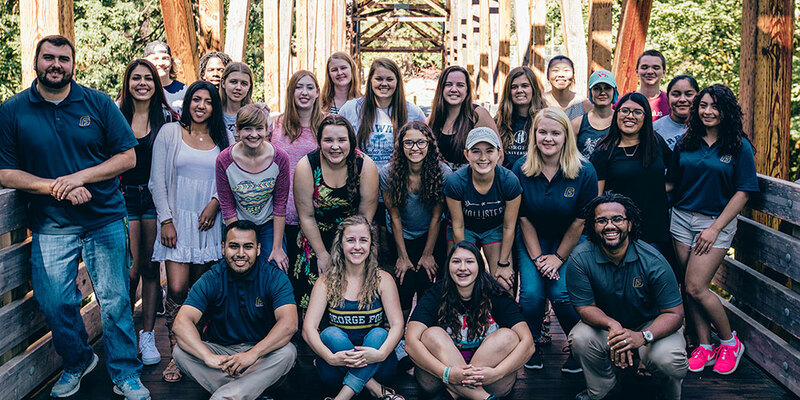 George Fox Bridge Scholars gain this life-changing opportunity, in part, because of generous gifts to the Student Fund. The fund also supports spiritual formation, study abroad, technology upgrades, student services and other educational needs. In the last three years, 100 percent of George Fox students received merit- and need-based scholarships. If you would love to help more first-generation students gain a distinctive Christian education and fulfilling career choices, we’d love to hear from you. Call us or give online today!